Has the killer of Kirsa Jensen taken his secret to the grave? Monday, 3 September 2018, 12:36p.m. 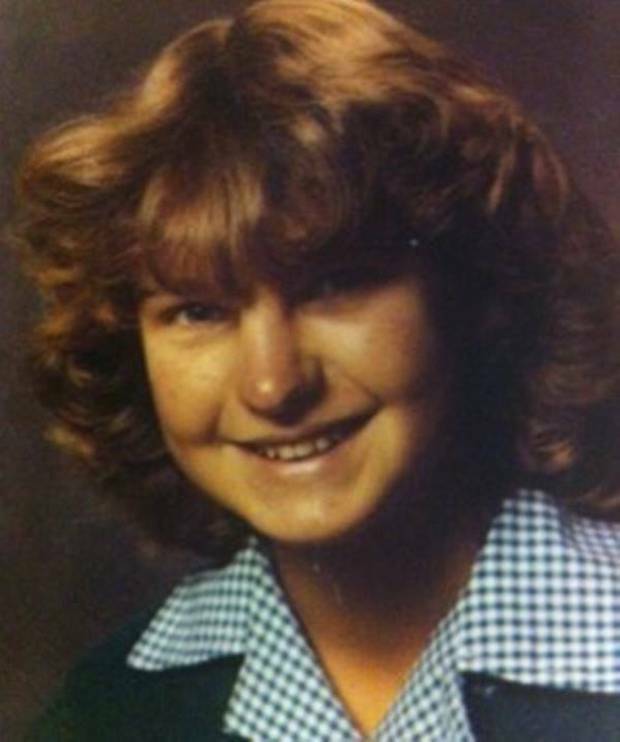 Former top police officer Ian Holyoake wonders whether the killer of Napier schoolgirl Kirsa Jensen took the secrets to his grave. But the now 77-year-old, who was head of the Napier CIB at the time the 14-year-old schoolgirl disappeared on September 1, 1983, has revealed the all-consuming impact of the case, the diversion of a "stupid bloody white truck" which probably never existed, and his ongoing search for "inspiration" to bring the long-running mystery to an end. The latest was on Saturday as he made his annual pilgrimage to a memorial he helped put in place where Kirsa was last seen at Awatoto, this time the 35th anniversary, in company with his wife and two of the dozens of police who worked on the case. It was at the time near-wasteland, the site of an old World War II gun emplacement on the Napier side of the Tutaekuri River mouth, on the foreshore between the beach and State Highway 2 between Napier and Clive and a few hundred metres from the landmark Awatoto fertiliser plant. Holyoake leans over the memorial, places some flowers, brushes back some grass from the edge of the stones surrounding the plaque and recalls how on the first anniversary - after being promoted out of town on the path to eventually becoming Assistant Commissioner of Police - he "went down to St Paul's" in the capital. He sat in the cathedral thinking for half an hour or so about Kirsa, possible closure for grieving parents Dan and Robyn Jensen, and of what his expansive team might have missed in not being able to find either a body or a killer. "They say there'll always be one big case you'll never solve," he says. "This could be that one. "I've sat in churches and thought, and tried all sorts of things, but we still haven't come up with any solutions." 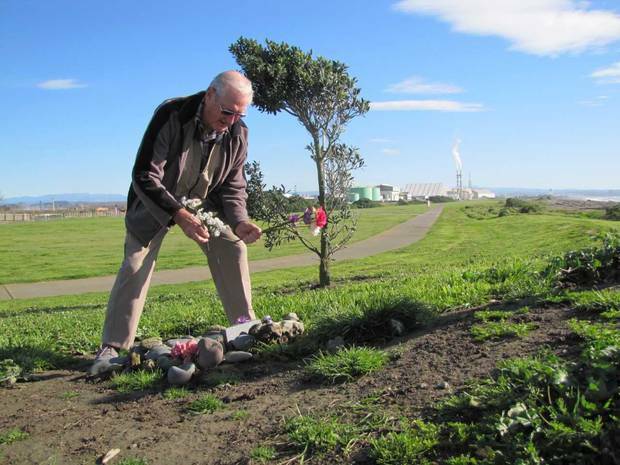 There are a few moments' silence again as he searches the brain again, wife Eleanor commenting meanwhile how the four trees surrounding the memorial have survived the inhospitable coastal conditions since the memorial was re-profiled to be seen from the Rotary Pathway in which her husband had also played a big part as a stalwart of the Napier Sunrise Rotary Club. Kirsa Jensen, daughter of a St Augustine's Anglican Church minister and a schoolteacher mum, disappeared while on an after-school ride with horse Commodore. The alarm was raised after she failed to return home as expected about 5pm, Robyn Jensen called police about 5.45pm. Concerns escalated when the horse was found tethered near an old World War II gun emplacement on the Napier side of the Tutaekuri River mouth, but there was no trace of the girl, a pupil at Colenso High School (now William Colenso College). She would have turned 15 three months and two weeks later, and 50 this coming December. Amid nationwide publicity, and an offer from Napier newspaper the Daily Telegraph to post a $5000 reward, information came from several people based on what they'd seen in the area. Among these was Whakatu orchard worker John Russell, who initially told of driving past and seeing a girl talking to man, holding her at arm's length and near a parked white truck. Much publicity focused on further information about the truck, and police spent some time focusing on Russell, establishing that his movements appeared to be kosher and suitable for an alibi. During the process, Russell was to tell police he was that man to whom he had referred, and that he had been driving past when he saw a girl with a horse and turned back to see if she was alright. He said the girl had blood on her face and told him she had fallen from the horse and someone had gone to contact her parents. Police searches of his vehicle and home did not find anything to suggest Kirsa had been there, but police did establish a piece of rope used to tether Commodore matched rope from an awning Russell had been getting rid of on behalf of his employers. At the site on Saturday were now-retired Alan Monk, who had started in the police with Holyoake in 1960, and Grant Diver, who had been on the job just a few months when he took part in the exhaustive hunts for evidence. "I remember the day we got hauled out here," he said. "Boy did we dig some dirt around here. "We spent a lot of time searching here," he says. "The offal pits ...," he says as the reminiscing tails-off. Diver became a dog handler, and remains in the job despite serious injuries suffered when he was one of three senior constables shot by Jan Molenaar during a cannabis raid, including the killing of workmate Len Snee, in the events which sparked the Napier Siege in May 2009. The Kirsa Jensen case took a bizarre twist when John Russell made a confession in 1985. At one stage he drove to TV studio Avalon in the Hutt Valley, wishing to confess and crashed on the way back to Hawke's Bay. He later retracted the confession and told interviewer Paul Holmes he had been mentally ill. Apparently tormented by his association with the events or the inquiry, he spent time in psychiatric institutions and took his own life in 1992, when he was found dead in a Hastings boarding house. Holyoake remains open-minded on whether Russell was their man, and does wonder how much the "stupid bloody white truck", which probably didn't exist, may have interfered with people's recollection or views on what they may have seen to the extent there may still be crucial evidence that was never reported to the police. He recalls getting a call from a fellow officer telling him of Russell's death and the suggestion he keep an eye on his mail in case there had been a departing confession. "Nothing ever came," he says.